DOT Desk: The Chatto-gram Custom House has evidence that the seven Clearing and Forwarding agents, who have recently been found to be “involved” in a forgery, engaged in counterfeit activities for a total of 299 times between October 2013 and December 2018, NBR sources said, reports The Daily Star. 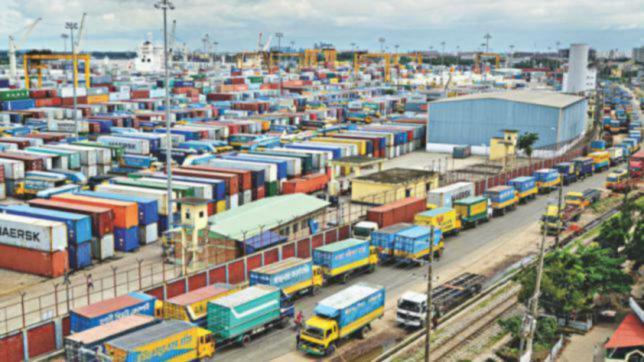 On Wednesday, Customs Intelligence and Investigation Directorate (CIID) officials said the C&F agents had at least 4,000 consignments released from the Chattogram port over the last two years, misusing the identities of two former CCH officials on the customs’ server. One of the two officials was on retirement while the other had been transferred before the crime was committed using their IDs. Talking to The Daily Star yesterday, CIID officials said the CCH had suspended the licences of three of the seven agents — MR Trade International, Chaklader Service, and Mozumder Trade International Ltd — for their alleged links to forgery in the past. However, the suspensions were withdrawn later and the firms were allowed to operate after paying a fine of only Tk 2 lakh each. The other four — M&K Trading Company, Laboni Enterprise Ltd, Saranika Shipping Kaizen Ltd and M/S Laila Trading Company — faced no action at all, the officials said. The Daily Star contacted several CCH officials, but they refused to comment on the issue. According to National Board of Revenue (NBR) sources, customs officials found documents that showed Laila Trading Company engaged in forgery as many as 190 times between October 2013 and December 2018. But the CCH authorities did not take any action against it. Evidence also shows MR Trade International committed counterfeit activities 40 times, Chaklader Service 35 times, Laboni Enterprise 15, Mazumdar Trade International 10 and M&K Trading Company 9 times. The fraudulence included forging signatures of customs officials and duplication of bank and customs documents. Information on consignments imported before 2013 is not available on the custom’s server. “I think the number of forgery incidents will increase if we get the previous data,” an NBR official said. According to sources, the customs authorities suspended the licence of Mozumder Trade International Ltd on February 28, 2012 for using fake documents to release goods and evade revenue of Tk 53 lakh. The authorities, however, withdrew the suspension in June of that year. The license of MR Trade International was suspended in June, 2016 for duplicating bank documents. The punishment lasted for only eight days. Chakladar Service had its licence suspended in November, 2016 after the authorities found evidence that it forged signatures of an assistant commissioner and a CCH revenue officer to release goods from the port. Although a probe committee recommended scrapping the agent’s licence permanently, it got away with it by paying the fine. Mozumder Trade International previously ran its business under the name M/S Neptune Trading Agency. It changed the name after it was fined for forgery. C&F companies are responsible for importing products as representatives of the importers. The customs authorities have the jurisdiction to issue and cancel their licences under the Customs Act-1969. Asked, CIID officials termed the punishment handed to the three firms “too lenient” and said their licences should have been cancelled right away and those involved should have been in jail. “If that had happened, they could not dare commit forgery [that has surfaced recently] again,” a CIID official said, wishing not to be named. The rest of the seven C&F agents are facing further inquiry, the official added. This correspondent went to the offices of the seven C&F agents in Chattogram’s Agrabad on several occasions but found no one there. Mizanur Rahman, owner of M/S MR Trade International, has recently been arrested from the capital. CIID officials said the owners of the other C&F agents have been on the run. “We filed a case with Ramna Police Station on Wednesday in this regard,” he said. Contacted, CCH Commission AKM Nuruzzaman said they suspended the licences of the agents on Thursday after receiving a letter from the CIID.